Yup, you read that right: “Anatomy Fashion Show.” It consists of students volunteers having an organ system painted on their body by other students and then modeling in front of a crowd. Sounds fun, right? 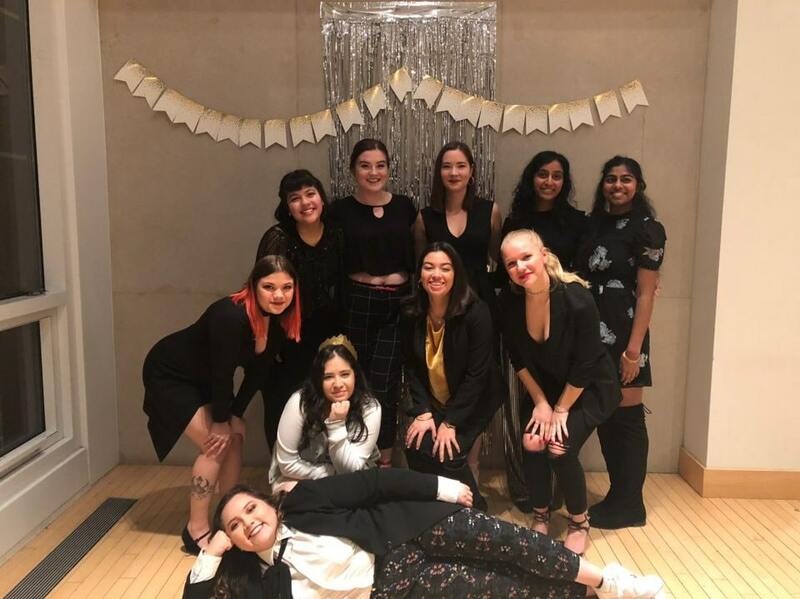 The Anatomy Fashion Show is one of Phi Delta Epsilon’s (our International Medical Fraternity on campus) ways to collect funds to donate to their Children’s Miracle Network Hospital, and all proceeds go to the Lurie Children’s Hospital in Chicago. I remember looking at the info for the AFS and thinking “Oh that looks cool! I wish I could go!” Well, this year I took it a step further and decided that I would be modeling myself (for the children, of course! ), opening my own fundraising page in order to support the cause. As soon as I had committed myself to be part of the AFS, I felt extremely conscious about my body and how I would look that day and started getting worried that nobody would donate towards my page. However, I remembered that this event was for a cause, a GOOD cause, and that even if it meant getting out of my comfort zone, I would be doing a good thing. Therefore, I put myself together and decided that if I was going to do this, I was going to do it willingly and to my best abilities. And so I did: I started posting on my social media a week before, letting all of my friends know what I was doing and that if they wanted to support me, they need only to donate $1. Thankfully, many of my friends responded, and on the day before the AFS, I felt like I was really going to enjoy this. I had no idea how much fun being painted on was going to be. Before the day of the event, I had chosen that I wanted to have the female reproductive system painted on me that day, and that itself had brought up the fears that maybe my artist would do something small on me, and that it would be barely noticeable. Fortunately, my artist, Emily, had come with an open mind and an ace under her sleeve. Seeing that the theme for the Fashion Show was “Heavenly Bodies,” Emily had the idea to depict the female reproductive system as our Solar System, floating in space and representing the center of my body, my galaxy. I was fascinated by the idea, and let her paint my whole body in dark blue to simulate. As Emily finished the last touches and added some rhinestones to simulate the stars, I was in shock by the transformation my body had undergone in the lapse of two hours: I had gone from a normal body to a celestial one and was in awe at how beautiful it looked. Now it was just time to model that masterpiece down the runway. When the time came to model, I have to say, I was so nervous. Not only had I been running around the building for around 4 hours in only my underwear and covered in paint, but I was also very cold. To say the least, I was very excited to get the Fashion Show started, as I wanted to see what I would do on stage. As my turn came to walk down the runwa, I froze and stopped in my tracks. I now look back and think that it must have been very funny to see me, but I was petrified at that moment. Thankfully, I was able to snap out of it and continue strutting down the runway, bedazzling the crowd with Emily’s beautiful art and my awkward modeling moves. Me and my ABI peers under the St. Louis Arch. Hello everybody! Sorry for the short hiatus, this semester has been very busy for me! But I’m back from Spring Break, refreshed and ready to finish this semester strong! After spending a week in sunny Cancún with my family, I keep going back to what my first Spring Break at Loyola was really like. As my first semester at Loyola went by my Peer Advisor, Kristi, had mentioned that if we wanted our experience at Loyola to be fruitful and to feel align with Loyola’s Ignatian values that we should consider going on an Alternative Break Immersion. 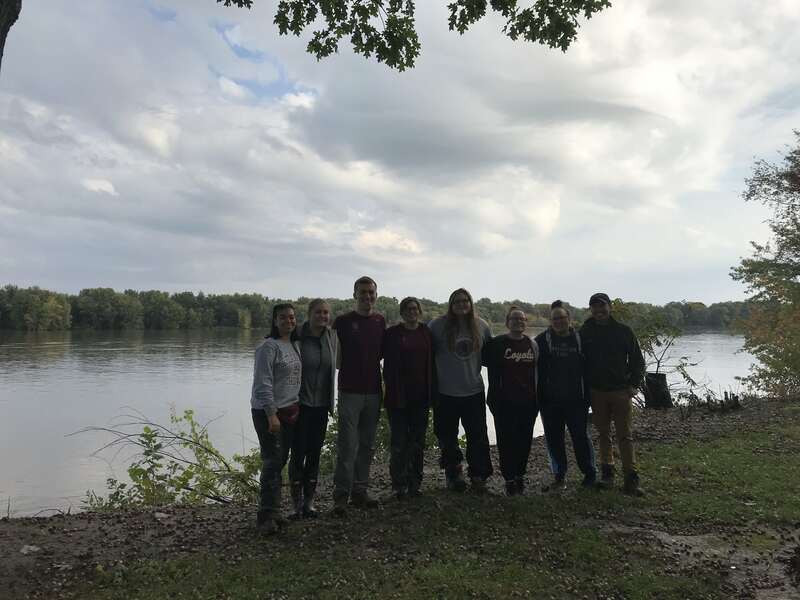 ABIs at Loyola are a kind of mission trips organized by Campus Ministry in which students fully immerse themselves in a community for a short period of time to learn about the issues that these communities face, ranging from environmental issues to urban poverty and lack of education. What Kristi said resonated with me: I wanted to make the most of my Loyola experience, and I wanted to learn more about the issues that U.S. society has to face. This way, I decided to go on an ABI for my first Spring Break, and I soon learned that I had been placed in the group that would go to East St. Louis, IL, right next to St. Louis, MO. I did not know what to expect from my ABI, as I had no clue where East St. Louis was located in the first place. 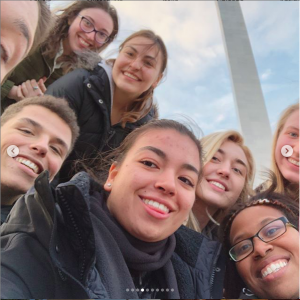 However, Campus Ministry organizes ABIs in such a way that students going on the same trip have the opportunity to get to know each other and their Leader at least 2 times before the trip begins. As we met with my peers, we talked about the issues that we would see East St. Louis residents: the persistence of food deserts in the area, a great amount of poverty and homelessness, and the lack of good public education systems. We discussed how we wanted to avoid the “savior complex” to present itself during our trip, that we were going to East St. Louis to offer as much help possible without thinking that we would solve all their problems in 5 days. This is when I realized that my ABI would be a learning experience, especially for my peers and me. The ABI itself was an experience that opened my mind, my heart, and my soul. As we settled down in the house that would host us for the week (shoutout to the students from Creighton who shared the house with us), Responsibilities for us volunteers included helping at a soup kitchen and visiting a family at their temporary home. However, I chose to volunteer as a teacher assistant at the Catholic School in the neighborhood we were staying at, helping the First Grade teacher, Mrs. Mattern. I was there to help them with their class work and to do the little tasks that Mrs. Mattern might need help with. However, the kids were eager to play with me and learn about where I came from, and they always wanted me to be “it” while playing tag. They made me feel at home, and it was very hard to say goodbye on the last day. No matter the role we partook in, everybody in my group was always with the members of the community of East St. Louis. Everybody I met was so kind, and always asked if I found myself alright and if I needed help with anything. Can you believe? Me, a volunteer, being asked if I needed help. It struck me like lighting. We were in a community that was given little by the government and outsiders, and yet, they had everything to give us: their hearts and their homes. Just like in Mrs. Mattern’s, we were surrounded by kindness and love for the neighbor throughout our week in East St. Louis. And as the ABI experience is all about reflection, every night we would come together and reflect on what our mission in East St. Louis was, and what we had learned that day. Through journaling and daily examines, I started getting a sense that my ABI trip was not only a mission trip, but also an experience of self-discovery and refleection on our mission at Loyola and in the world. Yes, my first Spring Break did not fit the stereotype of what this kind of vacations look like: it definitely wasn’t sunny, and I didn’t have the chance to see my family nor spend time with my friends. However, my ABI trip to East St. Louis was so much more than I could’ve asked for. I was able to get to know my fellow peers, a group of young and value-driven people who supported me throughout our time at St. Louis and. But most importantly, I got to meet some of the people of East St. Louis, who showed me a side of the U.S. that as an international student I had never seen. And despite the conditions that the community found itself in, I could see there was hope for things to get better: I saw it in the parents who dropped off their kids at school, I saw it in the teachers and staff of the school, and I even saw it in the children, who shared with me their hopes for the future. My ABI was an eye-opening experience, to say the least, and I hope that what I learned in East St. Louis will allow me to help others, now and in the future. I still think about the children at To learn more about ABIs, go to this site. View of the Lake & the IC. Taken by me, Dec. 10 2018. It’s been a couple of weeks since I came back to start my second semester of Sophomore year, and before coming, I was excited about coming back. Getting to see my friends after a month, living with the best roommate I could have asked for (shoutout to Devashree for putting up with me), being in the Second City again. Yes, I had missed all of this and was excited to see my past professors and going to my new classes, learning something new every day. However, after I landed in Chicago the day before the semester started, I felt out of the loop: I didn’t know what to do next, I wasn’t able to say “Thank you, next!” In reality, I had forgotten how it takes time for me to get used to a new routine. It was just like this a year ago, when I was still a First Year. At the end of my first semester, I had every single day planned out, and I knew what I had to do at what time of the day in order to stay on track with my To-Do List, and my back-up To-Do List as well. I had gotten used to wearing layers so that I wouldn’t be cold when I went out, but so that I wouldn’t be warm inside. I had figured out my work-out schedule, and I was making enough time for my extracurriculars and spending time with friends. And then, Finals Week hit me like a truck, and Winter Break was upon me. Right when I started feeling like I had gotten the hang of living in Chicago, I was on a plane back to my home, Guatemala. And I was so glad I was, as I got the chance to spend the Holiday Season with my loved ones, and with beautiful weather (cue “White Christmas” but change “White” to “Warm”). I was back home, up high in the mountains, and I didn’t want to come back down. But I did, and once again, as I started getting used to my old life, living with my parents and sister, walking around Antigua with nothing but a light jacket, and seeing my friends, I had to head back to Chi-Town. Once back in Chicago, I realized how I had to adapt my routine to the New Year (you know what they say: New Year, New Me). And I took that very seriously. You see, that’s the thing I’ve learned about college: your life as you know it is temporary. However, it is the fact that things are fleeting that makes life exciting. I had no idea what that semester would bring to me: I attended my first Women’s March the weekend; I celebrated Chinese New Year in China Town; I went on my first ABI to East St. Louis and got to meet some of the nicest people there; I witnessed the Chicago River turn green for St. Patrick’s day; I saw Loyola’s basketball team beat the odds and get to the NCAA’s Final Four; I enjoyed the first days of Summer in Chicago; and most importantly, I made some of the closest friendships I have to this day. I had none of these things planned, and many of them definitely did not fit my detailed-to-the-hour schedule. But it was during this semester that I got to enjoy the little surprises that setbacks might bring. Every semester is going to look very different from the rest, whether that be classes, extracurriculars, service work, or what I do in my leisure time. 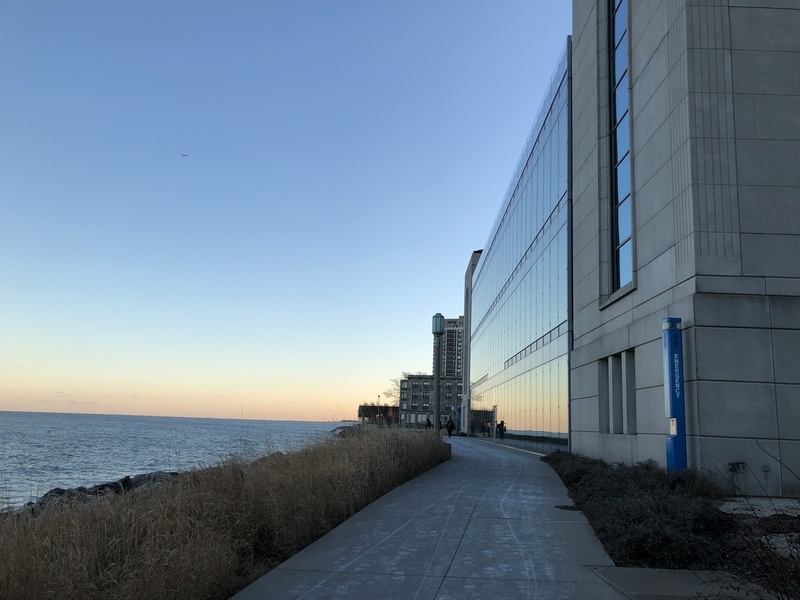 However, I’ve come to see the good side of this: every semester, I get the chance to start anew, to make the changes that I need to make myself feel more comfortable in Chicago and to give my time here a direction, and to enjoy the little things that come along. I’ve come to realize that it’s important that I focus on my semester only, and not compare it to anyone else’s. This experience is mine, and I have to learn to enjoy it like I want it, not like I think others want me to. Now, with the Polar Vortex having hit Chicago, with classes being cancelled, I feel once again a little out of place, without a routine to follow. As I write this, I have set myself the goal to take these couple of days to reflect on what I want for this semester: what I want to learn, the people I want to spend time with, the places I want to visit, and the goals I want to accomplish. Every break we get as college students, whether that be due to holiday or to inclement weather, is a chance to look back at what you’ve achieved so far, and what you’re looking to do once the storm passes. What do you want to achieve this semester? It’s been a year since my First Finals Week, and I still remember how nervous I was about my exams. It was my first time taking a final exam in the U.S. and I was definitely overwhelmed with homesickness and stress by that point in the semester. I had started studying for Finals a little in advance, and since I did not have any exams until Wednesday, my nervousness was just building up. My friends were well into their finals week and I hadn’t yet taken mine, and I just wanted to be over with everything and head home. Thankfully, I was able to come across a couple of activities that helped relax a little and bring me to a mental space where I felt ready to tackle my finals. 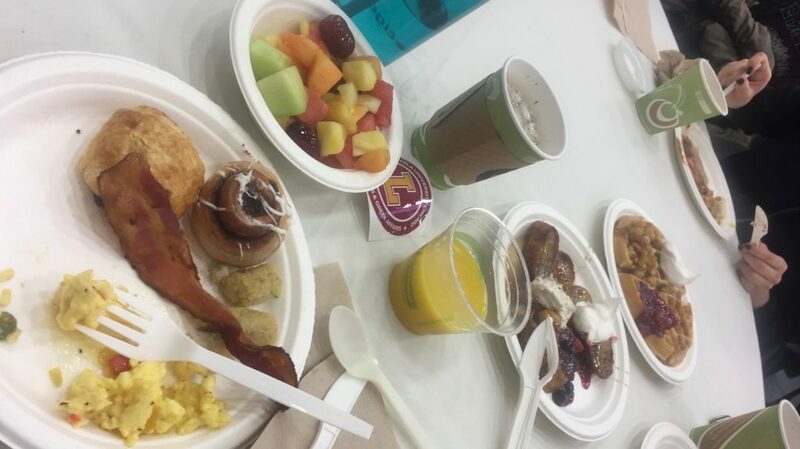 On Tuesday, as the first two days of Finals drew to an end and I kept studying for my first exam the next day, I decided to go with my friends to Loyola’ Finals Breakfast. Every Tuesday of Finals Week, SAGA offers LUC students a late-night breakfast for everybody to take a break and enjoy good food in great company in order to be ready for the final half of Finals. I was amazed at the amount of students that were there, and I was so excited to be eating breakfast for dinner, as Loyola’s Finals French Toasts are delicious! I had such a good time with everybody and my friends and I were happy to have gone to the Breakfast and take a break. Furthermore, it is widely known that Finals Week can be a very stressful time for us all. That week was definitely stressful for me. Therefore, to help students relax a little, the Wellness Center hosts a Study Day Stress Relief event every Wednesday of Finals Week. The Study Day Stress Relief takes place in the IC and offers several de-stressing activities like Badge Making and coloring sheets, as well as massages for students. When I went, it allowed me to catch a break from studying and afterwards, I was able to concentrate a little more on myself at a time in which studying and stress take up much of my time. Activities like these allowed me to be able to concentrate on studying and give my best on my exams without forgetting to take care of myself. They also let me get through the week on a happy note, and by the time I was done with my Finals, I not only felt relieved, but I felt like my trip back home and my month-long break was worth it. Now, as I prepare for this semester to be over, I recall the advice my Sociology professor gave me last year “You’ve taken exams before, and you’ve done well, because you’re here now. This is just another exam. You’ll do well on this one as well.” I wish you all good luck with your Finals, and hope that you all take care of yourselves as well! When I applied to be WILL’s Social Chair for the semester, I was excited about coming up with activities for the whole General Body and bringing together our members in order to share the sense of community that I feel in WILL. So when I was told I had to organize and host the Annual Winter Gala, I was ecstatic, but also nervous. Since the beginning of this semester, in E-Board Meetings, I was always asked to keep in mind the Gala and to come up with ideas for it little by little, and to get all food orders and equipment reservations done in a timely manner. However, I had no previous experience organizing, much less one of this magnitude and with all the procedures that Loyola requires. I didn’t know how to get orders submitted for the catering and had no idea how to come up with a budget that wouldn’t empty our funds. As the semester went on, and October came, I was asked to get all orders in place in order to avoid problems on the day of the event. Inside, I was so scared to do something wrong and disappoint my whole team. Nevertheless, my team, my first E-Board, are the greatest people, and I was constantly supported and helped by all of the members in preparation for the Gala. Our Treasurer and friend, Amy, had helped me get all things done with SAGA and Aramark so I didn’t have to worry about my budget not being approved or my orders being cancelled. Our Co-Presidents, Kira & Maggie, were behind the process since the beginning, and constantly checked in with me to see if there was anything that I needed from them. Maggie and Maanasa, our Community Outreach Liaison, helped me reach out to our prospective performers, as I had little connections with artists on campus. And the whole E-Board helped me set up on the night of the event for it to look as beautiful as everyone present deserved. The days before the event, everything was ready. I had gotten all the decorations I needed (with the help of my mom), the food had been ordered and the equipment checked out (shoutout to Amy for helping with both), the performers had all confirmed and had kept in touch with me for the logistics of their performances, and everybody in our E-Board was aware of what they needed to do on that evening. However, I was still nervous that I would mess up, that the event would end up being a fiasco. More than anything, I was afraid no one would come, that I hadn’t attracted the attention of enough attendees. I was so nervous, and I was hoping for the worst. To my surprise, the event was a success! Everybody loved the performances and commented on the decorations. There was barely any food left at the end of the evening, and everyone had commented on how fun the event had been. I was relieved that something I had come up with had worked. However, I know that nothing of this would have happened without all the help of the current and the new WILL e-boards, who not only helped me set up that night, but also gave me moral support and helped me all along the organizing process. I would say this was a really good learning experience for me, one that will help me now that I am Education Chair for WILL. I will now think about others, especially my Committee, when preparing presentations on a weekly basis and creating good content for our organization, and won’t hesitate to ask help whenever I need it. Because Rome wasn’t built overnight, and it wasn’t only built by one person either. My peers and I in our campsite at Loud Thunder, right before heading back to Loyola. October 08, 2018. I had just gotten back to campus after leading my first 360 retreat (the one on my previous blog post) when I got an email from Ramble Outdoors, a sub-department here at Loyola which is in charge of all-things-outdoors here on campus. The email was a reminder to register for their Fall Break Camp Out, a two-night camping trip to Loud Thunder Preserve, just a 4-hour drive away from Loyola. 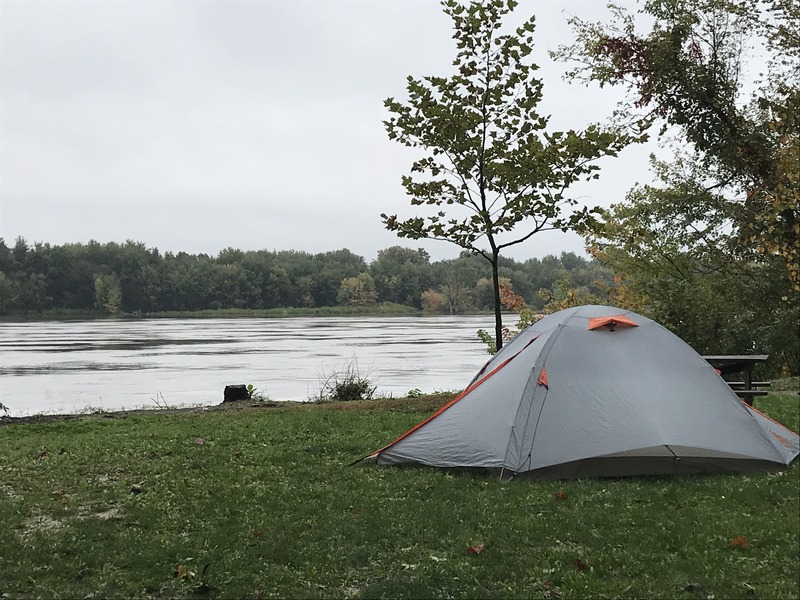 As the title of this post suggests, I had never gone camping before, and as the plans I previously had for my Fall Break had been cancelled, I saw the opportunity to check “camping” off my Bucket List. However, I wasn’t really sure about how much I wanted to sleep in the woods for two nights and making my own food with no kitchen available, little things that we live with in the city that I didn’t know if they would be available during this trip (and the question of the availability of a restroom haunted me, to be honest). After careful consideration and several conversations with my mom and my roommate, I decided to go camping with Rambler Outdoors, because I wasn’t sure where an opportunity like this would come up again at a time in which I’m not busy. The days in advance were filled with excitement and some nervousness. As I had no previous camping experience, I didn’t have the appropriate gear to even go for a hike, and was worried that Rambler Outdoors wouldn’t be able to lend me the things I needed. My biggest fear was freezing my soul while sleeping outside: the weather forecast predicted rain and low temperatures would hit Illinois all weekend long. Nevertheless, I arranged my gear rental and packed as many layers as I could in my backpack, and I left campus in a Loyola van, with a bag of trail mix on my lap, and a big smile on my face. Once at Loud Thunder, my worries left in a quick second. The camping site was pretty nice, with its own bonfire and located right by the Mississippi River (and yes, there was a bathroom). We set up our tents and started cooking dinner before it got dark, and ended our first day with a big bonfire and a bunch of s’mores. Cooking was one of my favorite parts of the trip: the process of setting up everything and just putting all the ingredients together on the little stove made me think of food in a way I didn’t back when I was in my kitchen. The next couple of days were a little more easygoing, as it rained all day long on the second day and we were not able to go hiking. Therefore, we spent the whole day eating snacks and playing board games while trying to stay dry. That night, Loud Thunder lived up to its name: the night sky was lit up by lightning and the sound of the rain falling on our tents was interrupted only by the clash of thunder. I was scared that our tent would give out and that we would all be soaking wet, but by the next morning, we woke up as dry as we had been the night before. And on the third day we packed up and left just the way we got there: making sure not to leave any trace in our campsite and leave it as untouched as possible. This is one of Ramble Outdoors mottos and they perform it throughout their different programs, and it really impact my experience at the campsite. We really tried to avoid leaving trash around, and also made sure that the land where our tents had been wasn’t damaged or anything. The Loyola values of being as friendly to the environment as possible followed us to Loud Thunder. Even though my experience was not like what I expected, I am so happy that I got to get to know a little better everyone who came to the camping trip: fellow peers, the student facilitators, and the coordinator for Ramble Outdoors herself (shoutout to Rachel for being so awesome.) And I also liked the fact that we were away from the city, surrounded by a beautiful, autumnal landscape and uninterrupted by urban noises or artificial lights. On our way back to campus, I was reflecting on how peaceful the whole trip had been, how being disconnected from the “real world” had felt. It really was a unique experience, and I would love to go camping once more. A Series of Firsts: My First Thanksgiving in the U.S.
After a couple of months of being away from home, having passed my first midterms season (successfully, thankfully), and wearing many, MANY layers to keep warm in the cold Chicago weather, my homesickness levels had hit an all-time high. I couldn’t concentrate in my school work, as I kept thinking in how much I missed the warmth of my city and seeing the sun everyday. My mood had started to change pretty easily, especially if there was bad weather. In However, missing my family was what affected me the most: I used to be really affected by not being able to see them everyday. The fact that many of the people I knew (who were domestic students, obviously) had gone home for Fall Break or had spent Family Weekend in late September with their family did not help: all I kept thinking was “that could be me, if only I weren’t in a different country.” Other international students like me had to plan other things so that we wouldn’t be overwhelmed by homesickness on days like these. Distance and had time had started to take a toll on me, physically and emotionally. Thankfully, my mom and my sister were on their way to Chicago bringing the cure for my low-motivation levels: love and a new pajama set. It made my heart so happy to see my mom and my sister in flesh and bone after so long, hugging them felt like it was the very first time (that’s how long it had been). And it made me even happier that I would be spending my first Thanksgiving abroad with part of my family. Back in Guatemala, my family gets together every year to have a Thanksgiving dinner, but it was nothing like the Thanksgiving experience that I had learned about in movies or TV shows as I grew up. Thus, the moment my mom and my sister picked me up from Loyola the day before Thanksgiving, Operation Thanksgiving was on its way. My mom had planned most of the week for us, and to be honest, it really was going to be a break for me. We toured the city on Wednesday, paid the Bean a visit and wandered around for most of the day; I was just so happy that we were together again. On Thanksgiving day, we woke up early to go to the McDonald’s Thanksgiving Parade, (nothing like the Macy’s Parade that I’m going to attend this week, but that I’ll leave for another post) which was very fun to watch: I found interesting that marching bands from other States had come all the way to Chicago to play at the Parade, and wondered what it must be like coming to the Windy City to be in the Parade. Children were dancing, trumpets were sounded, and everybody around us seemed to be happy. After that, we headed to the Millenium Park Ice Skating Rink, where we danced on ice by Cloud Gate for a couple of hours. Dinner was not your typical Thanksgiving dinner: as we didn’t have in which to cook our meal, my mom made a reservation at (wait for it) a steakhouse. It was that night that I realized that it wasn’t really the dinner that made the holiday, but rather being able to spend such a holiday with my loved ones. 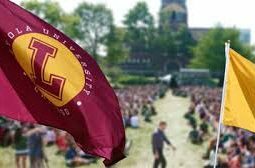 That’s what I the most thankful that night: my family, and all the friends that I had made at Loyola. The rest of our weekend was uneventful, but I was happy to feel refreshed and feel the love once more. My Retreat Leaders Team, a.k.a. Team A! Sept 30, 2018. When I got that e-mail from Campus Ministry early last semester saying “Congratulations, you’ve been chosen as one of the Honors 360 Retreat leaders,” I could not believe it. It had nothing to do with the fact that I had submitted the application late (correction: VERY late) or the fact that I was already involved in so many things. It was because I was going to be part of one of the programs that had such a big impact on my First Year experience. My 360 helped me find a little direction in the maze that was my first semester, and it helped me connect to Loyola on a very personal level. I learned more about the Jesuit values and how Loyola tries to apply them in its curriculum and in its activities, and how my time at Loyola had a purpose, I just had to find it. I also met some very cool people during that retreat, and was able to strengthen those relationships that I already had. So it wasn’t surprising that I was very happy when I learned that I would be part of the experience of so many new First Years, who had much of their time at Loyola ahead of them. To be honest, my favorite part of leading the retreat was preparing for it. 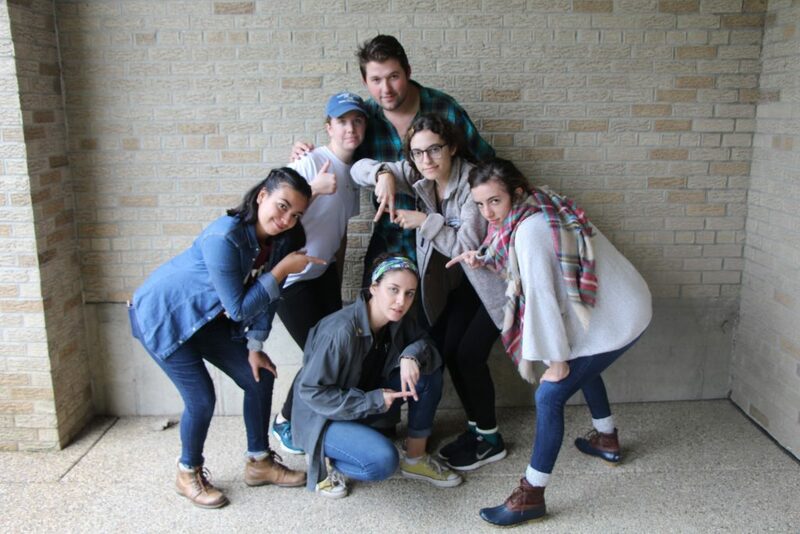 Don’t get me wrong: I loved meeting my Small Group and being able to discuss with them what their expectations of the retreat and Loyola as a whole were, and what they wanted to improve of themselves. Every single one of them had a different idea of what they wanted to do with their experience at Loyola, and it was great seeing them interact with one another and getting to know each other. I also liked being able to witness how many of the students in the retreat felt like their retreat had changed something in them. Whether it be their attitude or the fact that they made new friends, I could tell our retreat had been a transformative experience for them just as it had been for me. 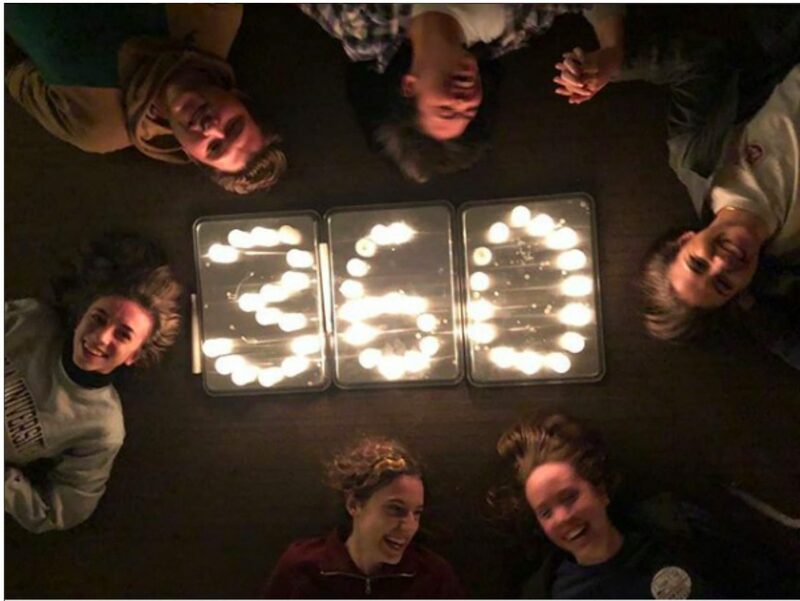 However, the process of becoming a Retreat Leaders had a great impact on my experience in this 360 retreat.I was lucky to be placed in my Retreat team, who are some of the best people I have gotten to meet here at Loyola. During our training, we got to know one another quite well, while prepare for our retreat in terms of logistics. Therefore, we built a little community and had created a good atmosphere even before the retreat started. In addition, as part of the training, I was able to learn a little more about myself, things like what kind of leader I want to be, and how I would put into practice all that I’ve learned as a student at Loyola back home. So, by the time we had to leave for our retreat, my Retreat Team were all very excited to be spending a weekend together at LUREC, one of the best spaces Loyola offers to its students, with its location outside of the city, its comfortable facilities, and their (in)famous cookies. It was honestly a great experience, and it went WAY better than I expected: everyone was willing to participate, our Small Groups had connected instantly and the conversations they engaged in were very good as well. But most importantly, I was able to spend a whole weekend with my now-close friends while enjoying just one of the many opportunities that Campus Ministry offers us Ramblers. My friends and I at the Loyola Night Cubs Game, after the Cubs beat the Pittsburgh Pirates. Sept. 27, 2018. There is nothing like going to Wrigley Field with a couple of friends and a hot dog in hand. Or so I had been told. I had grown up with my mom trying to convince my sister and I to watch the World Series and get into baseball and root for the Pittsburgh Pirates and such (she was a huge ). But I really never acquired the taste for the sport. I had never been to a baseball game ever, and there really weren’t any ways that I could play baseball on my own back home. So, during my first year at Loyola, I chose not to go to a Cubs game, even while knowing that they had won the World Series a year before. Don’t get me wrong: I like sports. It’s just I am not that kind of person to watch a full game in one sitting. Also, I barely know the rules of baseball, I still don’t understand what the 9 innings are, and I really have not had the time to look at Cubs tickets. 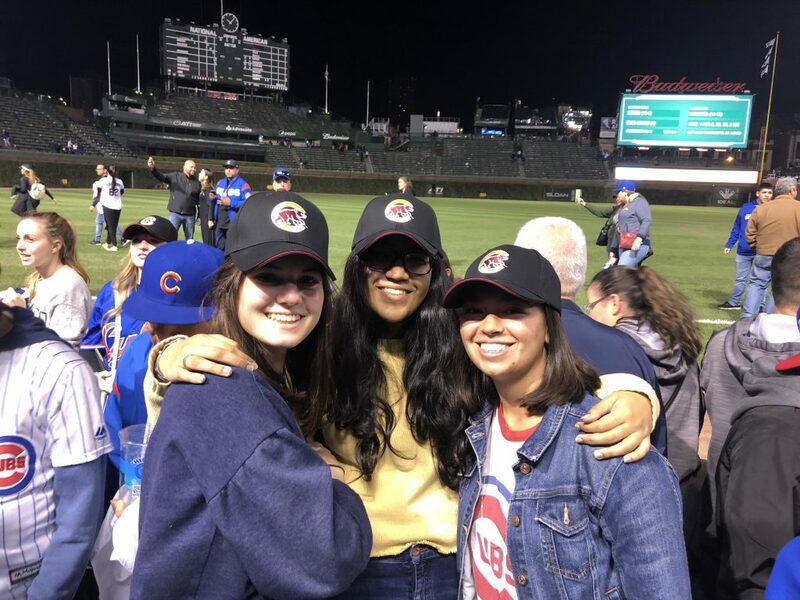 But when a friend of mine asked me if I wanted to go to the Loyola Night Cubs game with her, I didn’t hesitate to say “Where do we get that cute cap they said we are getting?”. To be honest, the game was an experience even before game night. I was so excited to finally be going to a baseball game (the irony) and couldn’t think of anything else but the game for days. I had already looked online for the different menus and knew what I wanted to order. And I told almost everyone I knew to come with me so that I could share this experience with others. I was making a show out of it. And I was right to be excited. The moment we got off the Addison Red Line Stop, I couldn’t help but be contaged with the energy gloating in the air. Everyone was wearing their Cubs gear, having fun, enjoying their time with their friends. It was surreal, to say the least. When the First Pitch took place, I couldn’t believe that I was finally going to watch my first game. As the innings went by, the excitement started to bubble down, and it transformed into concentration. I started to get the idea of what the game rules were and I recognized that the Pirates weren’t that bad of a team. Yet, I still hoped for the Cubs to win, knowing that it would make my experience a little better. The fact that the game was a Loyola Night made it even more exciting. There were people all around wearing their Loyola Cubs cap, and we all sang along to Coach Moses singing “Take Me Out to the Ball Game.” And when the Cubs finally won the game, we all cheered for the team and tried to get our caps signed by the players (and gracefully failed in our attempts). 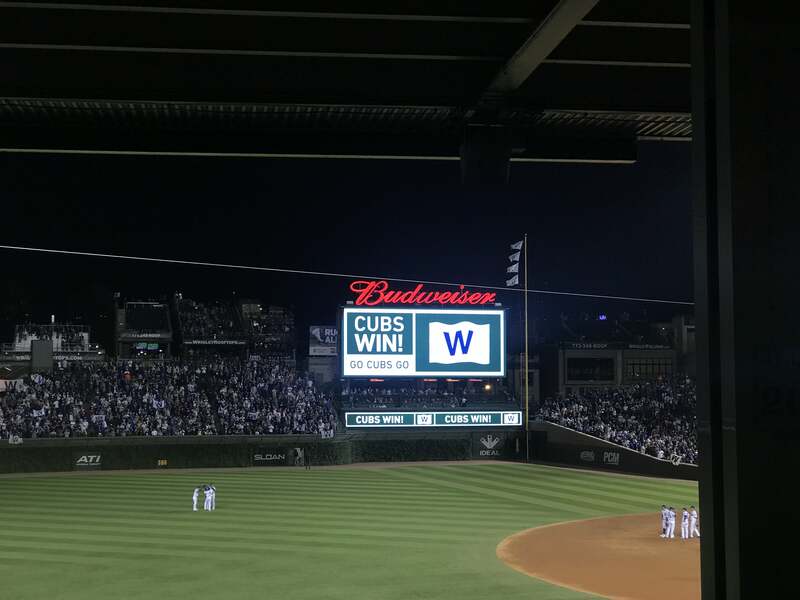 Now, the Cubs’ chances to win this year’s World Series are null (Congrats to the Red Sox), but I am sure that when the season starts again, I’ll get someone to take me out to my second ball game.